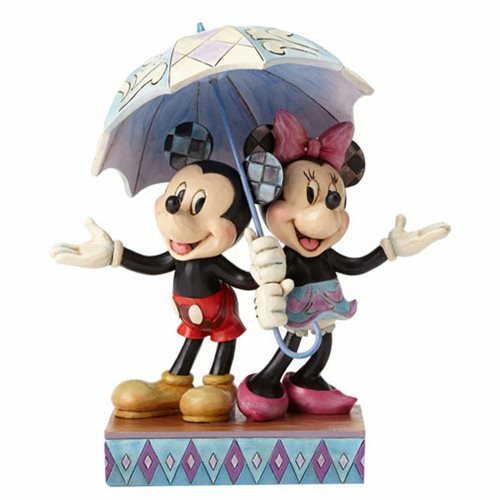 Mickey Mouse and Minnie Mouse share a romantic moment under an umbrella in this heartwarming scene beautifully handcrafted using Jim Shore's signature combination of rich color and folk art design. The Disney Traditions Mickey and Minnie Sharing Statue is made of stone resin. Measures about 7 3/4-inches tall x 6 3/4-inches long x 4 1/4-inches wide.